Every now and then we come across a new production technique that is so inspiring we just can’t help but get a little over-excited. 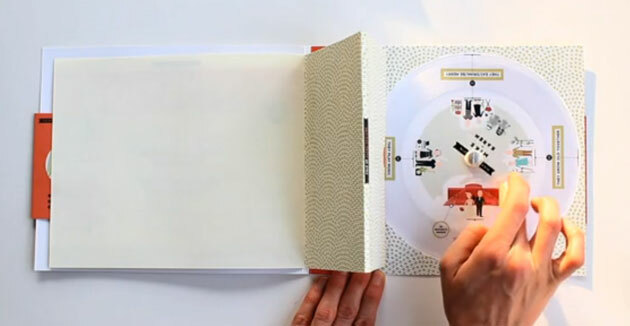 This wedding invitation, which is possibly the most personal, most creative and certainly the most musical ever created transforms into a record player that plays an original song by the duet who are about to tie the knot. Like all innovations – it leaves me thinking why I haven’t seen this before. The richest brand experiences are those that connect with a range of senses beyond the visual. This brand does that engaging sight, touch and also sound – perhaps the most powerful of our senses. The potential for this production technique to create a truly memorable and deeply engaging direct marketing piece for a range of consumer oriented brands is simple enormous. Surely it can only be a matter of time before I receive something like this from a leading brand through my mail slot. Love your work, thank you for sharing. If I could talk to the animals…. Transparent, authentic brands will always win out!